Moving East to be in place for the start of the little trip we have planned with Margaret and Terry and their grandchildren Oscar and Eve. 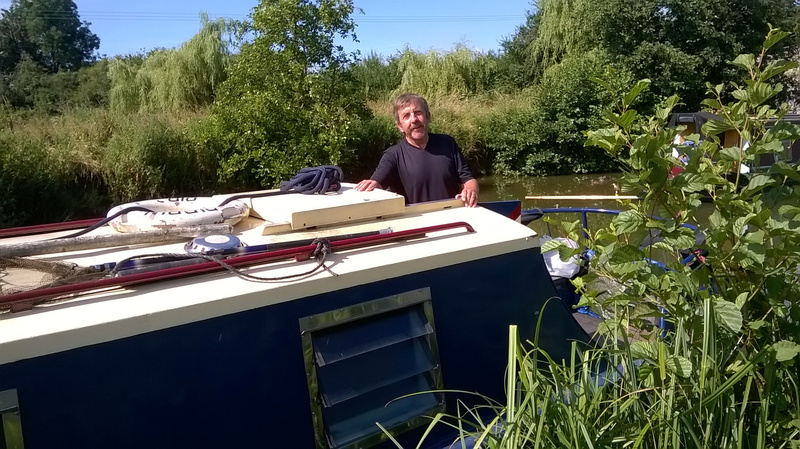 Also looking out for places where we can leave the cars that are accessible to the canal and places where we can moor and camp as Cribbit not big enough for three adults and two children. Have started making an 'eye spy' file of things to be found canalside to occupy any quiet moments and encourage observation. Cleared Hungerford on my first day moored near the boater's facilities and the station by Bridge 83, Station Road bridge. Good pint of London Pride nearby in my sort of pub, the Railway Tavern. Next day, moved on to Froxfield. Moored to the Armco at Froxfield. Good parking by Froxfield bottom Lock, Lock 70. Next day, moved on to Kintbury. 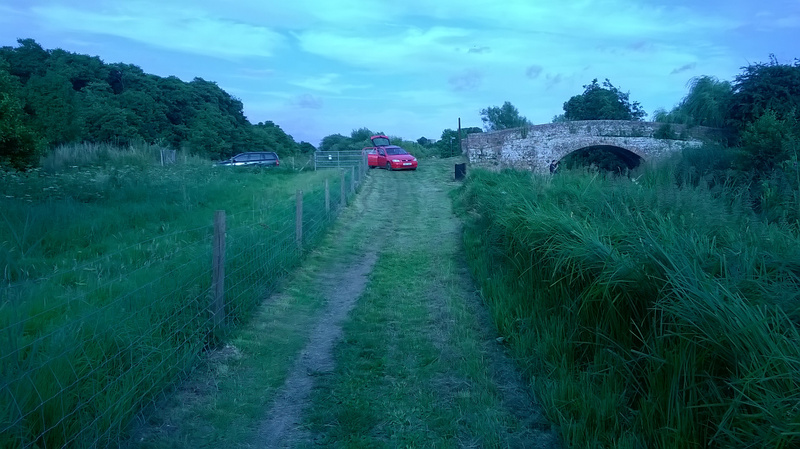 Bridge 78 and parking, Kintbury. Moored by Bridge 78, Orchard Meadow bridge. 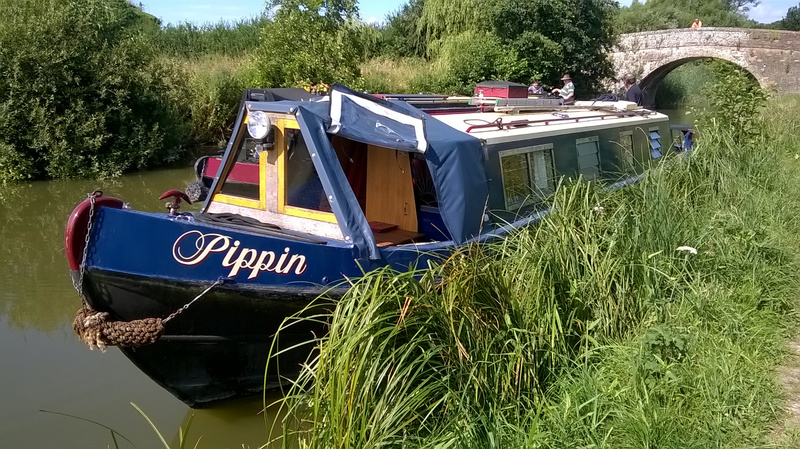 Had a chat with Chris on nb Pippin, who had an alternator problem, batteries not charging. Finally traced this back to the ignition warning light that had come unscrewed so was providing no field coil current to start the alternator. Into the village to sample its delights. I never think that there is much in these pages to excite sj, they being mostly about pubs and err beer. [It's beer sj]. 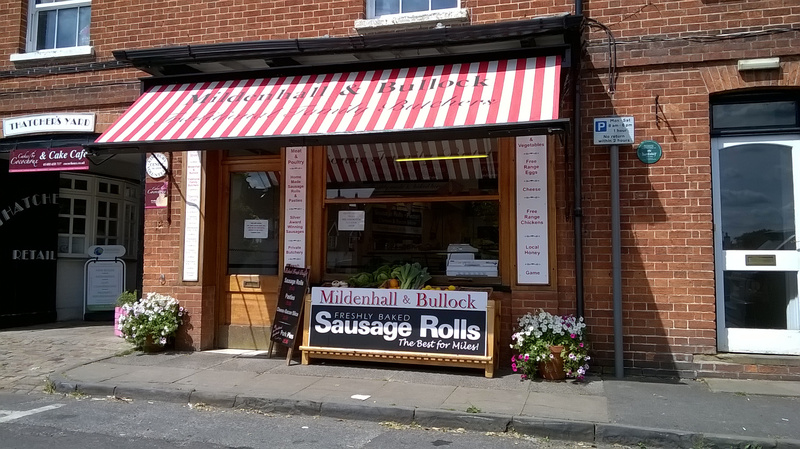 Here in Kintbury is an establishment that should stir her interest, Mildenhall and Bullock, butchers and bakers of homemade sausage rolls. Still my interest tends rather more towards the pubs and there are three in Kintbury, I could already tell from the outside that I would not like the Dundas Arms so dropped into the next nearest home, the Prince of Wales. This was definately a locals pub abd a bit uncomfortable so having sampled their London Pride, decided to move onto the Blue Ball, which turned out to be much more to my liking. This was especially so as they have a huge wood fired bread oven in their carpark and produce excellent pizzas. Also they were happy to let Oscar and Eve hand craft their own so this had to be one essential stop on our upcoming adventure. The pub has some interesting stories associated with it too and Jane Austin was a neighbour.